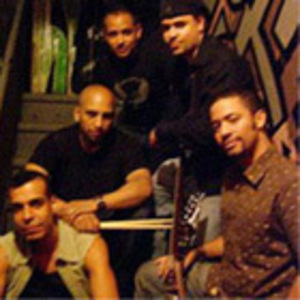 SOULSA is a Latin band that?provides an exciting fusion of Caribbean rhythms and modern Latin rock. The group was formed in 2002 in Washington Heights, a New York City?neighborhood known for embracing?Latin music and culture. Soulsa's music contains the groove of classic salsa rhythms with the raw energy of a rock band. To create a fresh sound, Soulsa replaces traditional salsa instruments like horns and piano?with?the modern?rhythms?of the electric guitar resulting in a more ?stripped-down? sound without ever loosing their Caribbean roots. Soulsa's music contains the groove of classic salsa rhythms with the raw energy of a rock band. To create a fresh sound, Soulsa replaces traditional salsa instruments like horns and piano?with?the modern?rhythms?of the electric guitar resulting in a more ?stripped-down? sound without ever loosing their Caribbean roots. The intense percussion from Juan Gerena, Antonio Rodriguez and Anibal Collazo complements the electric guitar resulting in a sound that is both primal and energetic - without ever losing the roots of Caribbean music and classic rock. Essentially rock with "clave y sentimiento"! But most importantly, Soulsa's essence comes from its original compositions. Songwriters?Alberto Diaz and Luis Batista are famous for creating sophisticated and humorous?songs that reflect?the daily lives, struggles and triumphs of Latinos. Soulsa has played in?a variety of venues?through out?New York City?including Nuyorican Poets Caf?, China Club, Southpaw, D'Antigua and Gonzalez & Gonzalez. ?They have also?headlined at multiple?private events for Oscar de la Renta, VOGUE magazine, Havana FilmFestival and Time?Warner's?publishing division Time Inc. The band?received national recognition when they?performed during?Telemundo's?nationally syndicated morning show ?Hoy en la Ma?anita? and was invited?for an encore for the midday news program. ?